Access control is about allowing the right people to enter the right areas quickly and efficiently and keeping unauthorised people out. This can contribute substantially to the safety and protection of your property or employees. With today’s ever increasing advances there are a host of solutions available to you from The Alarm Company. From simple keypads with an access code, proximity cards and tags to more sophisticated biometric recognition systems. 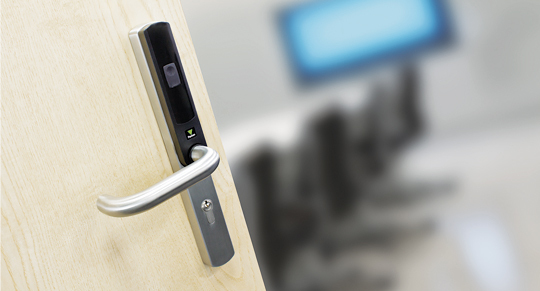 We provide leading edge electronic access control systems for the protection of all buildings from schools, universities and businesses of all sizes. The Alarm Company specialise in a range of Access Control equipment from Paxton who are a UK based manufacturer and market leader in their field.